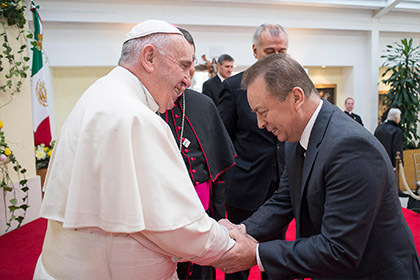 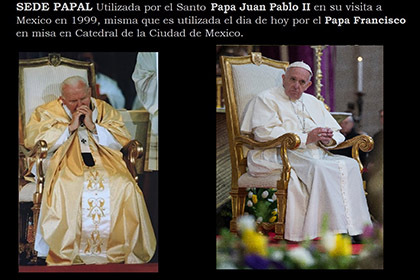 Named by the conference of the Mexican episcopate "OFFICIAL SUPPLIER OF THE VATICAN" On January 10, 2002. 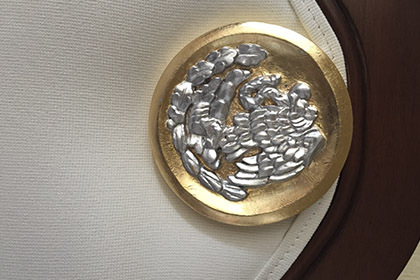 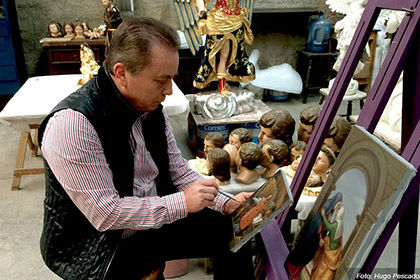 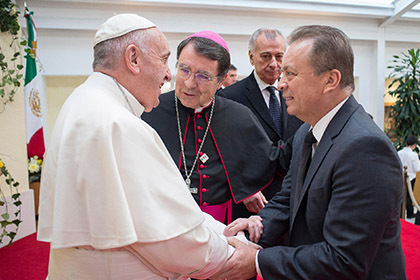 Agustin Parra had the honor of realizing the Principal Chair for the Pope John Paul II in his visits to Mexico in the year 1999 and 2012 along with other pieces that were elaborated especially for his personal use. 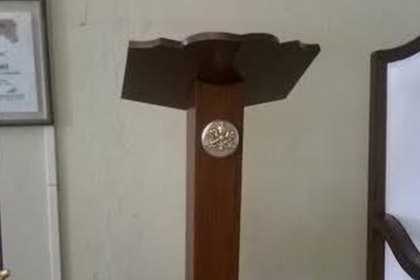 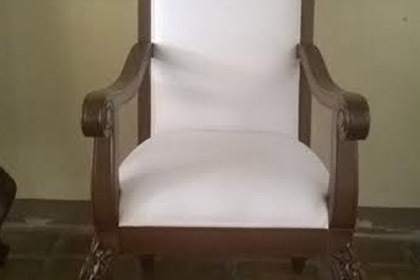 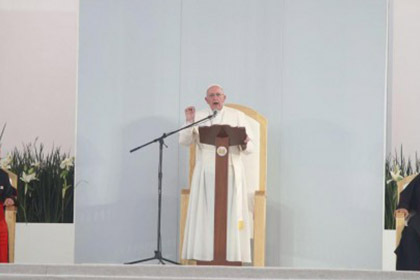 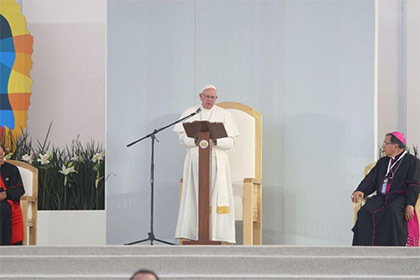 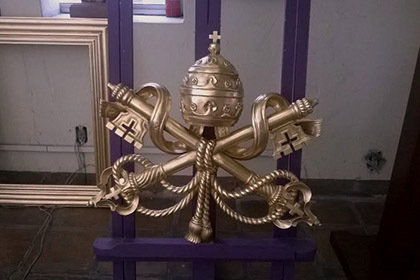 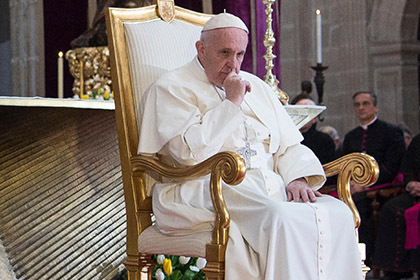 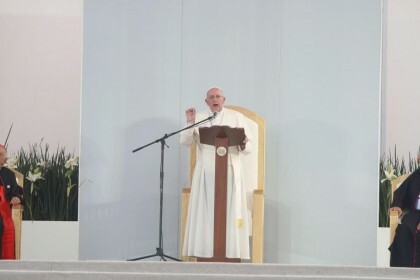 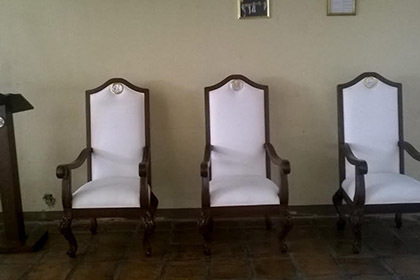 In 2012 again he was selected for the accomplishment of the furniture that would be use his Holiness the Pope Benedict XVI in his visit to Guanajuato, among the furniture that were realized is find the Principal chair for the mass that was done in the Park Bicentenary, along as a Christ sculpture natural size, Easel, couch, priest chairs, also the chair for the College Miraflores place where he stayed, a coat rack, an image of the Virgin of Guadalupe among other things. 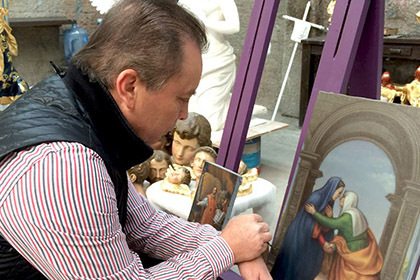 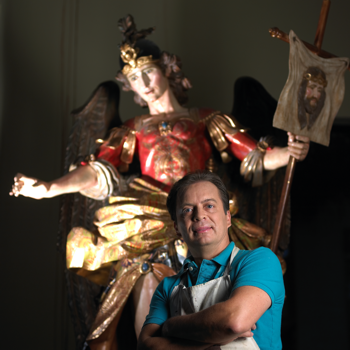 Variety of pieces are those who have carried out specially for the Vaticano, pieces among reliquaries, sculptures, paintings, Angels Natural size made in Guadalajara and sent to Rome that stayed permanently in St. Pedro Plaza of the Vatican. 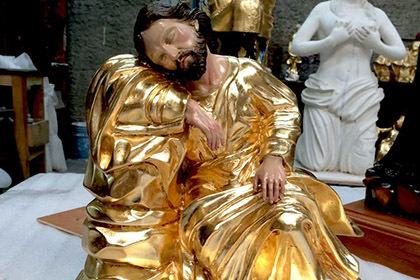 As a Christmas Nativity shaped by 11 pieces that represent San Jose, the Virgin Mary, the Baby Jesus, three kings, two shepherds, an angel, a lamb and a cow, shown in the room Paul XVI inaugurated by the Pope Benedict XVI.